Today at Comic Con Experience 2017 in Sao Paulo, Brazil, Warner Bros. revealed its upcoming movies coming from DC Films. 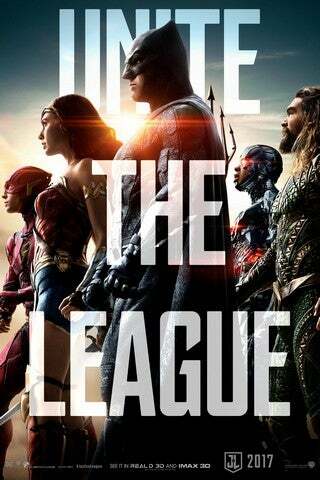 The state of the DC Extended Universe has been a question on the minds of many fans following the underwhelming performance of Justice League at the box office, but the title cards shown during the Warner Bros. presentation suggest that the studio is moving full steam ahead with its previous plans. Warner Bros. began by referencing its biggest DC Comics success so far, Wonder Woman, by showing a title card for the Wonder Woman sequel that showed the logo flanked by Roman columns. There was no “2” in the title, suggesting Wonder Woman 2 may not be the film’s official title. Additionally, the title card for Aquaman was shown. Aquaman will be the next DC Extended Universe movie out of the gate, arriving in 2018. The title card for Flashpoint was shown, indicating that DC Films is moving forward with plans to turn The Flash film into an event. That was followed by Justice League Dark, suggesting progress is still being made towards bringing the mystical side of the DC Universe to live-action. Suicide Squad 2 was teased with a title card, as well as the upcoming Batgirl movie, Shazam, Green Lantern Corps, and The Batman. Conspicuously absent from the list was the previously announced Cyborg movie, as well as the second Justice League movie. There was also no mention of any other of the Suicide Squad spinoff movies – Gotham City Sirens, the Harley Quinn solo movie, the Harley and Joker team-up movie, and the rumored Deadshot solo were all absent. The villain-centric Black Adam and Deathstroke movies were also absent from the list, as was the solo Joker movie, though that film will not be a part of the DC Extended Universe, which may explain its absence.